In any sane world, Scott Walker would be such a lock for reelection that it would be a waste of time to endorse him. His union reform in Wisconsin was an enormous success. Wisconsin lost over 100,000 jobs in the four years before Walker became governor and it has gained 100,000 jobs since he became governor. He took the state from a 3.6 billion dollar deficit to a 911 million dollar surplus and on top of all that, Walker cut taxes by 500 million dollars. So, why is this not a gimmie election for Walker? Well, it’s because Wisconsin is a blue state and because every union in America has it in for Walker because he proved union reform is good for the state. All that union money and manpower is pouring into the state and turning a race that Walker should win by 10 points into a neck-and-neck contest. 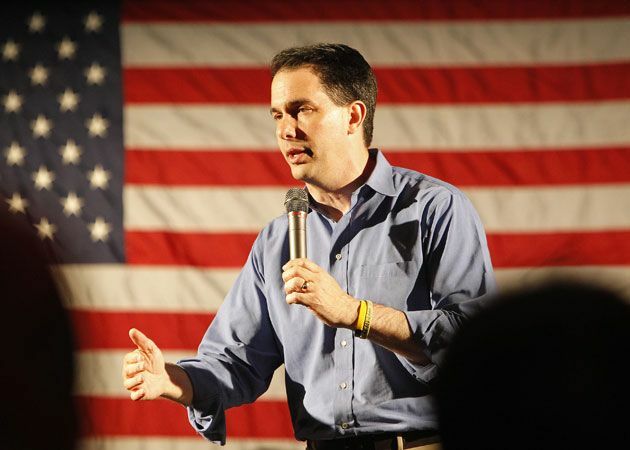 Scott Walker is a conservative with guts who has taken on the unions and successfully governed in a blue state. If anybody deserves conservative support, it’s Walker. That’s why Right Wing News is endorsing him and it’s why you should support his campaign.